Inefficient appliances and inefficient use result in a waste of energy. If we use smarter, we will save enough to power the city of Utrecht! Bundles uses the most efficient A+++ appliances. Additionally, the Bundles Buddy helps our users to use smarter and more efficient. It is a smart tool that analyzes your user behavior and provides personalized regarding capacity use, program settings and temperatures. If we all start to use our appliances in a smarter way, we significantly reduce our energy use! Detergent and dish washer tablets create pollution. Mostly because we tend to use to much of it. Bad for the environment, the appliance and your clothes! With Bundles we make sure that you will never use more detergent that required. We teach you how to use the automatic dosing function of the washing machine so you will save time, hassle and the environment. One million, that is arena full of appliances. The faster they brake, the more will be sold. That isn’t right! The problem is that most appliances break too early. At Bundles we only use the best quality. We make sure that appliances will last long through mart maintenance and repairs if necessary. If they bread down, we remanufacture the appliances and use the components to build working appliances. We call it upcycling. Due to inefficient washing machines and dish washers and inefficient usage, we waste 2,000 liter annually per household. What a waste! If you have a Bundles description you save water through better dosing and capacity dependent water usage. We count the liters our customers use and compensate every drip by providing clean drinking water to households who are in need. For this project we work together with Made Blue and the Aqua for All Foundation. A liter for a liter. This year we aim to provide 5 million liter of drinking water. But in a fun way! Enjoy quality and service and clean our planet and your laundry. How are we going to do that? Smart quality! 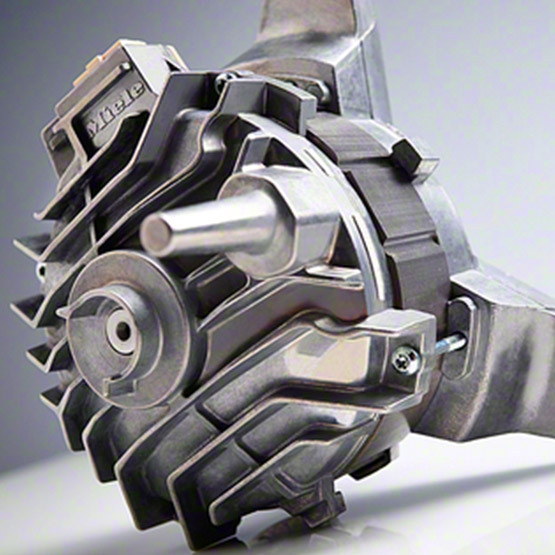 Use only the best and most efficient appliances in a smart way. It’s easy. Ask your mom which washing machine to use and she will most definitely answer ‘a Miele’. And there is a reason for that. Miele is considered the authority in the field of quality washing machines, tumble dryers and dish washers. Most importantly, Miele wants to collaborate on a sustainable and circular future. Isn’t that great? A good start includes a sustainable design and high-quality materials. Miele appliances last two times longer than the average, now that is important. 70 to 90 percent of the total energy footprint of a washing machine is caused during usage. The Miele washing machines, tumble dryers and dishwashers use little energy due to an energy efficient motor and intelligent program settings. A beautiful example is the Twindos – automatic detergent dosing – system which doses the right amount of detergent at the right moment. 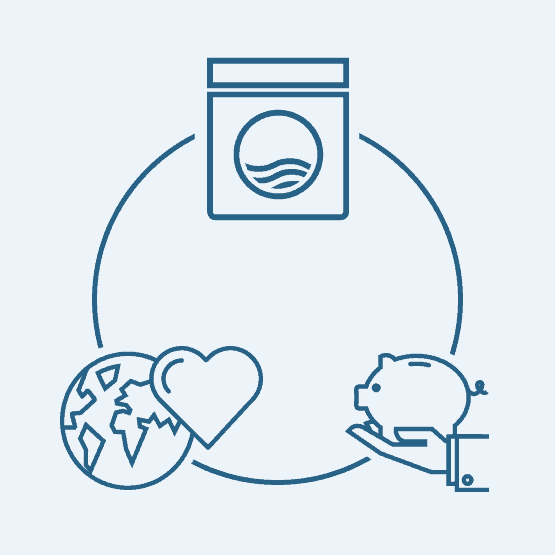 Better for the washing machine, the environment and your wallet! 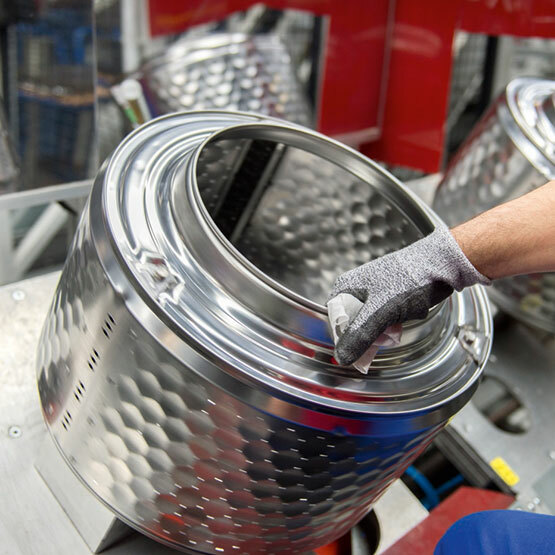 Miele is a frontrunner in recycling by choosing high-quality materials. Because they use recyclable iron instead of concrete as a balancing weight, they are able to reuse 85% of a washing machine. 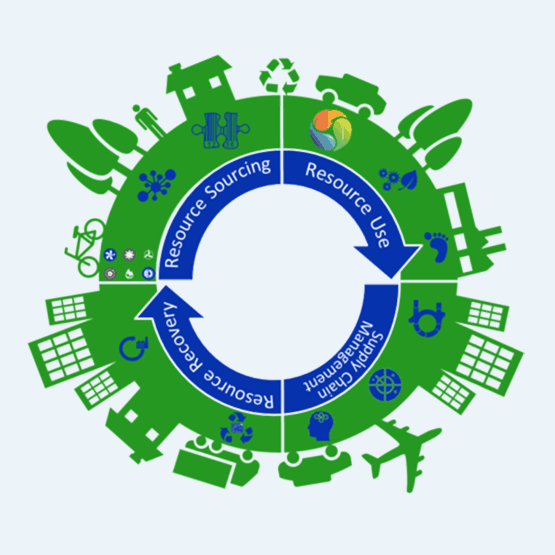 In a circular economy, recycling isn’t enough. Therefore, we put great effort into maintenance of the appliances, we repair or upgrade the appliances when they are broken and we return the materials to Miele when they cannot be repaired. 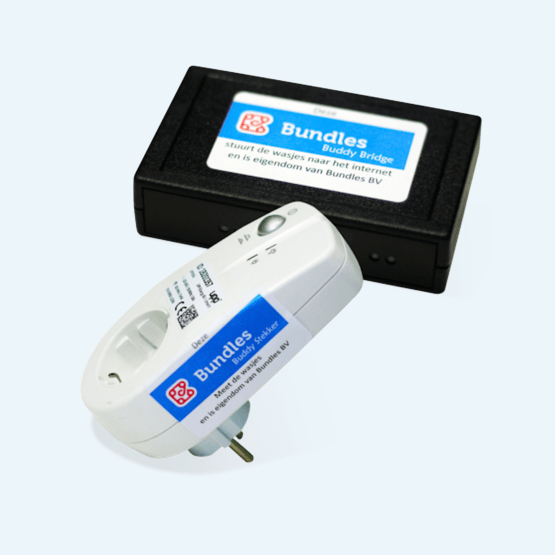 We connect appliances with the internet by using a smart plug, the Bundles Buddy. This tool measures the energy use and communicates this with us via the internet. Our smart algorithms are able to learn about the appliances and recognize opportunities to decrease consumption and improve design. Do you know how much money you can save by smarter usage? For example by the selection of different program or temperature settings. We provide personalized tips and take your usage behavior into account. Via the internet connection we are able to monitor the appliance performance. This allows us to prevent functional problems before the user knows they exist. That saves money and hassle with repairs. We believe that is fair that you only pay for an appliance if you use it. We try to prevent that appliances will be stored in a dark basement if you plan to live with your partner or move to another country. That’s why you can cancel monthly. We execute a full performance check in order to replace the appliance at a new customer. If appliances break down, we take care of repairs. If they cannot be repaired, we remanufacture the appliances and use the components to build working appliances. Do you believe in the Bundles concept and do you think that together we can create a win-win-win situation with satisfied customers and manufactures and a better world?